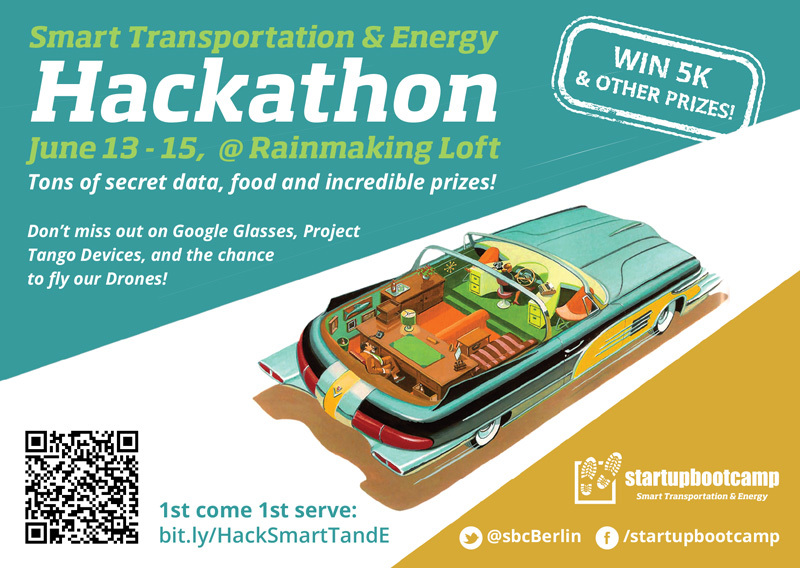 Join Startupbootcamp Berlin and our partners for a weekend of brainstorming, hacking and networking at the Rainmaking Loft Berlin. If you are a developer, designer, or just passionate about the intersection of transportation and technology, you don’t want to miss out on our codefest weekend! Smart Transportation and Energy is a big thing – that’s why our upcoming accelerator program will focus on those topics. But not only! We will have our incredible partners on board and curious to see, what you are able to accomplish in a weekend! And let’s face it, what is more rewarding than a house full of talented people creating stuff? Coders, UI/UX designers and everyone who is passionate about making stuff. You will build teams of 3-5 people, so there is no unfair advantage in terms of team size. Besides participants, we are inviting our SBC mentors and, of course, all the partners will be there to give feedback and provide insights. Gonna be a hell of a weekend! In our awesome office space at Rainmaking Loft. We have everything you can wish for: a pro-kitchen, sleeping area, Skype booths, meeting rooms, an auditorium, a shower, tons of power sockets, and much more. Plus, we will have FREE food, snacks and drinks so your body is energized all the time. Plus, we are well aware of the world championship and will organize screenings for those of you who need a little break. We know that you will work hard, so we will give away at least 5k for the winner and have some other products and other stuff aligned that you will go home with a big fat smile! And trust us, that’s not even the winning price – so register to be the first to know! To make the weekend even more exciting we are organizing some special swag for you. Rumors are out there that there will be test drives for a specific green sportscar, quadrocopters, some glasses, and a Project Tango device. Moreover, you will get a €15 voucher from WunderCar that you could use to come to the event. Courtesy of our partner WunderCar, all participants will get 15 euro voucher for transportation to the event. WunderCar is a community of private people driving other people from A to B. Get a ride, make some friends and become a driver yourself. 2000 – Startupland screening – Startupland is a documentary series following five founders through a startup accelerator to show what it takes to start a company, and to succeed in growing and sustaining a business. Mentors will be there during the day to provide you with direct feedback and to answer any question. Make sure to bring your own sleeping bag, toothbrush, towel, pillow – whatever you need to feel comfortable. There will be a shower and a separate room to sleep. Still, there will be food and drinks accessible for the whole night that it just feels like home. 1400 – Finish – submit hacks! 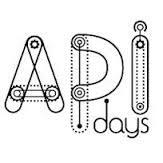 More specific information on API/data, jury and mentors will follow to attendees and will be updated on this page soon. Stay calm, catch the early-bird and better don’t miss out.